﻿ Will your doctor be replaced by a robot? 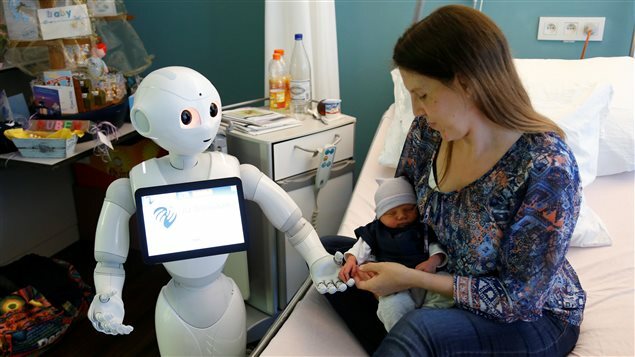 New recruit *Pepper* the robot, a humanoid robot designed to welcome and take care of visitors and patients, holds the hand of a new born baby next to his mother at AZ Damiaan hospital in Ostend, Belgium June 16, 2016. 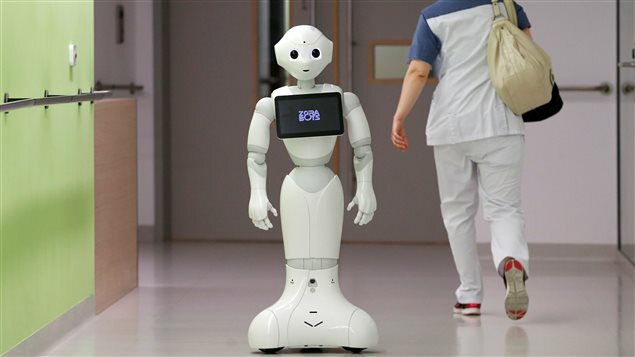 Dr. Brian Hodges has a stern warning for future healthcare providers: learn to be caring and compassionate or be replaced by robots in white coats. Advances in robotics, artificial intelligence, deep learning and big data will in the near future make many tasks performed by physicians and nurses obsolete, Hodges told hundreds of healthcare professionals who packed his keynote presentation at the World Health Summit in Montreal on Tuesday. 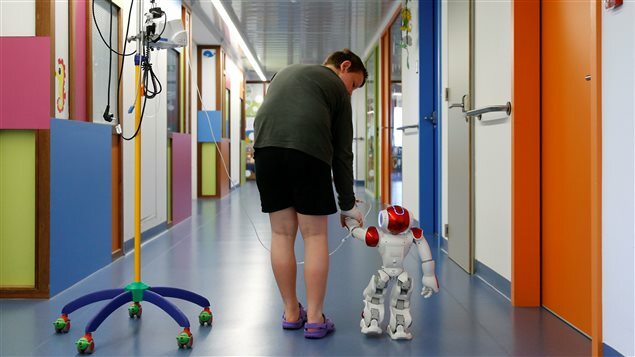 The only thing robots and artificial intelligence systems cannot replace is human caring and compassion, Hodges said. In his presentation titled “Health Professionals in the 21st Century: What Will We Need Humans For?” Hodges argued that every profession has a competence framework. “If you boil down all competence frameworks, you arrive at what Aristotle gave us more than 2,000 years ago, which is the domains of knowledge, technical skills and what he called the practical wisdom or phronesis that helps us integrate knowledge and skills,” Hodges told his mesmerized audience. Two of the components of this competence framework in medicine – knowledge and skills – are already being radically transformed by advances in technology. “It’s only by hanging on to the third domain that we will be in the future,” Hodges said. The digitization of humans, cloud based information and the emergence of deep learning or artificial intelligence are already transforming the area of human knowledge, he said. This omnipresence of data will allow health authorities to redistribute healthcare in the communities at a distance via tele-health, bringing an end to big hospitals, he said. “In our hospital in Toronto we foresee very soon being able to monitor patients with congestive heart failure with a smart scale at home so we know when they begin to gain weight from water retention so that they can be sent digitally information or to their healthcare provider in the community to change their care so they don’t need to come to the emergency department,” Hodges said. The potential impact of deep learning on health services was demonstrated by recent studies published in prominent scientific journals Nature and the Jama Network. Deep learning refers to computational methods that allow an algorithm to program itself by learning from a large set of examples that demonstrate the desired behavior, removing the need to specify rules explicitly, according to the authors of one of the studies. The study in Nature looked at a case where researchers taught a deep learning computer to recognize and diagnose skin lesions by showing it 130,000 images of skin lesions with correct diagnosis for each picture. When the system was asked to diagnose other skin lesions, it was just as effective as human dermatologists. The second study looked at teaching the deep learning system to recognize and diagnose diabetic retinopathy and macular edema in retinal fundus photographs. The system was as effective as a trained ophthalmologist in recognizing and diagnosing diabetic retinopathy. But advances in cognitive science go even further. A study published in the journal Radiology looked at a study where researchers fed the artificial intelligence (AI) system MRI scans, blood test results and other investigations from 256 patients and then combined it with eight years of track data, which no human doctor can realistically absorb, Hodges said. One year later, when researchers looked at the outcome of these patients, the AI system had predicted 80 per cent of the time the survival rate, compared to a lesser accuracy for human clinicians, Hodges said. Self-driving cars, why not robotic surgeons? 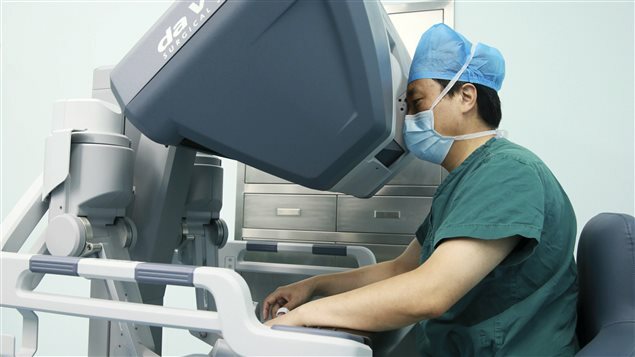 Advances in robotics and diagnostic technologies – from MRI scanners, machines that can draw your blood to surgical robots – are also making a lot of skills that doctors and nurses learn and perform daily increasingly obsolete. As automation and machine learning takes root in other industries such as transportation with self-driving technology that will eventually eliminate a leading source of mortality caused by traffic accidents, the medical profession will be facing mounting pressure to increase safety and reduce human errors, Hodges said. “The same head-to-head comparisons are going to appear between safety and technical error rate of human driven procedures and those done by automation,” Hodges said. Digital health systems will help societies advance science, education and patient care, he said. 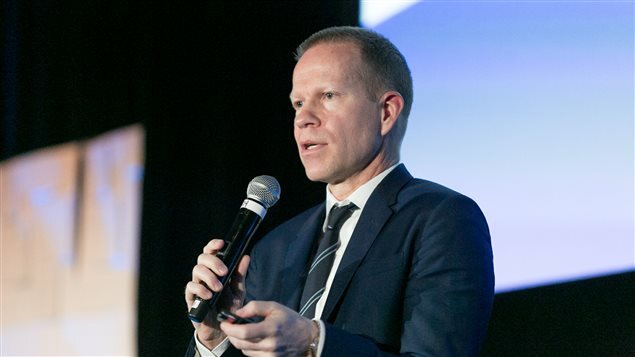 Health practitioners will have to learn in new ways, they will have to train to work not only in interdisciplinary teams with other humans but also to interact and collaborate with robots and artificial intelligence systems, Hodges said. They would have to learn to advocate for humane heath care systems. But most of all they have to learn care and compassion and human presence in an environment that will more and more involve machine-human relations. “I fear that if we ever let caring and compassion slide out of the competence framework we actually will not be necessary,” Hodges said. 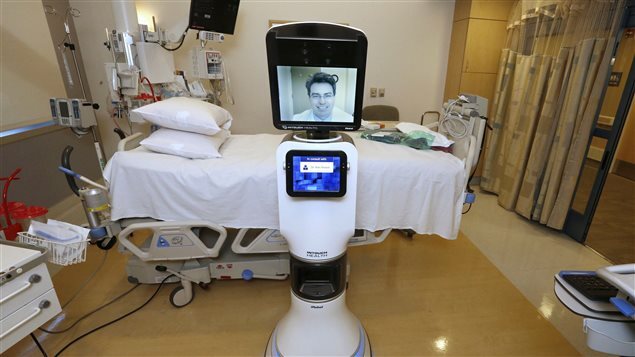 Like the introduction of computers, some patients will not accept this robot clinician, but want a human contact.